For anyone interested in electronic music in the 1980’s is sure to have come across the Yellow Magic Orchestra (YMO). YMO was to Japan what Kraftwerk was to Europe. Always in the forefront of electronic and synthesizer based music. 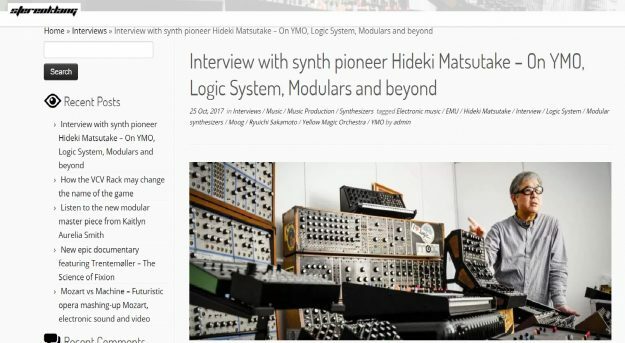 Little less known to the general crowd is the profound importance of YMO’s fourth behind the scene member – Hideki Matsutake. YMO was always fronted by the renowned artist Ryuichi Sakamoto, who even today is considered one of Japan’s biggest music exports of all time, but from the context of YMO Hideki Matsutake played an equally important role in defining the sound of YMO and the success they have retained ever since.